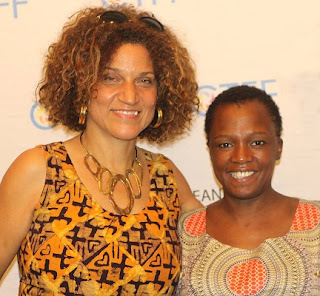 CaribbeanTales Media, Group (CTMG) and the Durban FilmMart, (DFM) are pleased to announce the renewal of their partnership to develop films and television content by African women and women of colour from the global Diaspora. The 3rd CIneFAM-South Africa Co-Production Accelerator will be launched during the 10th Durban FilmMart (DFM) which takes place from July 19 to 22 2019. “We are excited to expand our programme and our partnership with DFM, with a focus on building a slate of compelling co-productions aimed at the global market. Our ultimate goal is to increase the pool of world-class female-driven content so as to build the audio visual capacity of both our countries.” said Frances-Anne Solomon, Founder and Executive Director of CineFAM, and CEO of the CaribbeanTales Media Group. In 2017, CineFAM and the Durban FilmMart joined forces for the first time to host the inaugural CineFAM – South Africa Accelerator. The winning producer, Mary Ann Mandishona, attended the renowned CaribbeanTales Incubator programme in Canada, where she won 3rd Prize for Best Pitch. Also in 2017, CIneFAM-SA in association with South African Women in Film & Television (SWIFT) jointly held a Short Film Challenge. The winning short, The Walk, was screened at the 1st CineFAM Film Festival in Canada in September 2017. In 2018, the second iteration of this hugely successful programme focused on introducing South African producers to Canadian broadcasters in order to explore projects for co-production. From this intake, the original television series project, Queen of the Rain has received funding under the Canada-South Africa Co-Development Incentive, a collaboration between the Canada Media Fund (CMF) and the National Film and Video Foundation (NFVF), with Canadian broadcaster AfroGlobal Television attached. The overall goal of the 2019 programme will be to identify and develop suitable scripts, within the terms of the South Africa-Canada co-production treaty. Selected projects will participate in a two-day intensive workshop during DFM where they will be supported by senior executives and mentors. In September, the best projects will attend and pitch their projects at the 2019 CineFAM/ CaribbeanTales Incubator (CTI), held annually in Toronto, Canada, in partnership with the Toronto International Film Festival (TIFF). It is intended that from these, a number will be go forward for development and production in 2020 / 2021.